Somehow I unintentionally ended up wrapping up a lot of in-flight consumption last weekend. Kind of a strange cross-media collection of things. Principles of Product Development Flow. Goes deep into the theory side of things, but a lot of great ideas in here, especially around looking at work queues and economics. Not the first agile development book I’d recommend reading (that would be Kanban), but maybe the second. End This Depression Now. Trying to be less clueless about things in general. Giants of Enterprise. Fascinating read about 7 American businessmen (Andrew Carnegie, Henry Ford, George Eastman, Charles Revson, Thomas J Watson Sr., Sam Walton, Robert Noyce) about their personalities and business acumen. I’m surprised that IBM training doesn’t have more material on Watson Sr. The last chapter, about Robert Noyce and the emergence of the Silicon Valley, is definitely worth a read for software engineer. Chrono Trigger. Crossed off the biggest item on my SNES to-play list. I’d started it several times in the last 10 years but always lost momentum. Really enjoyed the combat and story. Felt bad that I GameFAQ’ed my way through the final bosses, but would have felt worse if I never beat the game. Still like FFVI (or rather, my memories of FFVI) better. Archer Season 4. Meh on the season finale. Arrested Development, seasons 1-3. Have been chipping away at this for months and wrapped it up right before Season 4 started (we’re about 2/3 of the way through). Finally beat Cave Story after battling the final set of four bosses for over three hours. They don’t make games like they used to; this was only one of three games over the past few years that actually required some sort of skill (the others being Donkey Kong Country Returns and Rayman Origins (of course with Rayman it was because of a stupid bug that I replayed this level repeatedly). In any case, I was on the verge of giving up. My tolerance for unforgiving games has definitely gone down over the years, but I’m happy to have beaten this. The game is pretty unforgiving to first time players who do minimal GameFAQing: I didn’t get the best weapons in the game and also forgot to exchange my Mimiga mask back for my booster, which I think would have made the core a lot easier. Had 60 Health and 30 Missiles heading into the last bosses. Just some notes for my future self if I ever try to pick this up again to get the best ending (very unlikely): Misery: use the machine gun, keep moving. Don’t worry too much about bats or spinning barriers, since they only do -2 damage. First doctor: stay as close as possible so you can jump over the red wavy shots, machine gun works fine. Second doctor: use missiles, watch out for him jumping and dashing. Core: beat Sue/fill up on missiles, beat Misery, use the cloud platforms to get close enough to deal damage with the swords, then switch to missiles when the Core starts shooting those huge laser balls towards the end. Also don’t forget about the life potion. I had completely forgotten that I had it. It’s still cool to see how a game like this forces you to get better. I went from losing nearly all of my health on the first Misery to losing 2 on the last couple of playthroughs. Unfortunately it’s hard to find time for gaming (or anything else) with a full-time job and a kid. But I’ve managed to squeeze in a few hours here and there. The Unfinished Swan: The first 10 minutes are as creative as any game I’ve played, and I really enjoyed this game. It plays out as a children’s storybook. I don’t want to give anything away here, but this is definitely worth a play-through; I liked it better than Journey, which I’m guessing puts me in the minority. Mighty Switch Force: Played this over the Christmas holiday and really enjoyed the challenge. It’s a puzzle-platformer with a lot of cool twists. In theory you can finish a level in a minute or two, but good luck with that. Tales From Space: Mutant Blobs Attack: Fun, cute, short. Katamari-style eat everything with some cool game mechanics, and a ton of personality. The Cave: Old-school LucasArts-adventure-style game set in a talking cave. The puzzles are cute. Unfortunately you have to play through the game multiple times to see all of the endings (there are 7 characters and you take 3 each time). I’m on my second play-through, and I’m already getting annoyed at having to re-do the common puzzles (each character has their own ‘level’ in the game, but there are a few common areas). If you’re pressed for time, skip the Monk. I found his level really boring. The Legend of Zelda: Skyward Sword Ok, this isn’t a short one. My last save file clocks in at 39:59, and it took me about 14 months to complete. But at the end, I was really sad that it was over. The story and cutscenes are stronger than in any previous Zelda game, and this is one of the few games that makes use of the Wii’s motion controls in an effective way. The dungeons are gorgeous. Wish that the targeting could have been better and that they cut the weird running mechanic, but overall this may be my 2nd favorite Zelda game (after LTTP). 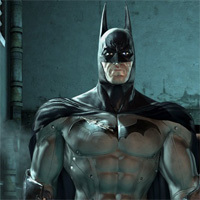 I haven’t played a game as engrossing as Batman: Arkham Asylum in a very long time. I stayed up until 3am Friday night playing it and finished it up starting at 830am this morning. It’s a phenomenal game, kind of Metroid-vania-ish in nature. The game is really immersive. The graphics are phenomenal and the controls make it really easy to pull off lots of different maneuvers. You never panic when facing hoards of enemies because everything feels really natural. All of the locales are distinct and rich. The gadgets are really fun (and useful). The story is good enough to stand on its own. For once I actually feel motivated to collect bonuses because some of them are really interesting (like interviews with some of the villains). Minor complaints: boss battles can be a bit easy/simplistic, and the game is a bit too helpful at times when giving hints. The sewer level is annoying (though most games have many more annoying parts than this one does). It’s also a bit on the easy side, but I didn’t mind since I was too busy exploring and being a badass superhero. Also I want to drive the Batmobile. Before playing this, I was worried that I was outgrowing video games. I was also worried that I’d never really be impressed by the PS3. Batman changed all that. 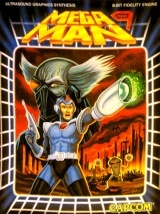 A few days ago we bought Mega Man 9 from tne online Nintendo store. It’s a brand new Mega Man game done NES-style, and, though difficult, it’s amazing. I’ve forgotten how satisfying it is to replay a level over and over until you’ve perfected it. Cy and I have probably logged 4-5 hours and have beaten five of the bosses, and we savor each sweet victory (especially the ones that come with one remaining sliver of life). I do think it’s kind of cheap that you can buy as many energy tanks as you want. I clearly remember there being four in all of Mega Man 2, and that I hoarded them until the very, very end. I’m willing to overlook this because the second I picked up the controller I was instantly transported back to my 10-year-old self. Available for XBox360 and PS3 too. What are you waiting for?